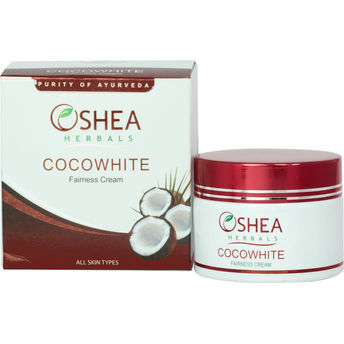 Cocowhite Fairness Cream has an effective skin brightening formula that prevents melanin production & improves complexion to bring out a radiant glow to the face. With regular use of this cream, skin appears softer, even toned & luminous. It is recommended to use this preparation regularly in order to maintain the achieved results. Coconut oil: Good hydrating agent, restores moisture for long hours and rehydrates the skin. Reduces dryness.